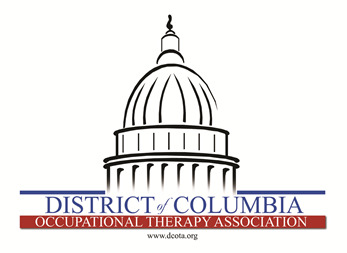 The District of Columbia Occupational Therapy Association is an organization that represents the interests of occupational therapy practitioners as well as students of occupational therapy, in order to advance the quality of occupational therapy services within Washington, DC. We work collaboratively to enhance leadership and professional development, advance the profession of occupational therapy, the public’s awareness of and access to needed occupational therapy services, and the contributions of occupational therapy to health, wellness, productivity, and quality of life. District of Columbia Occupational Therapy Association is a state affiliate of the national professional association, the American Occupational Therapy Association (AOTA). Partner with OT practitioners in Washington, DC to learn about opportunities and events as well as share resources to help improve your practice. Get exclusive access to events and networking opportunities in your area. Learn about opportunities to volunteer and expand your knowledge as well as support the growth of your profession. Learn about legislature and policy in Washington, DC and nationally as it pertains to your practice and profession. Support the representation of occupational therapy in the state legislature by your lobbyist as well as have the opportunity to partner with them in advocacy opportunities. Protect the occupational therapy identity as being a regulated health care provider and being included in all related health care reforms and legislation. Attend conferences, workshops, and educational sessions at a discounted rate! Access to members-only section on DCOTA website. Receive quarterly e-newsletters that include resources and opportunities for education, research, and promotion of evidence-based practice articles.